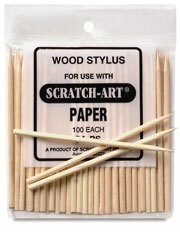 Wooden styluses, sharply pointed for use with scratch paper or board. 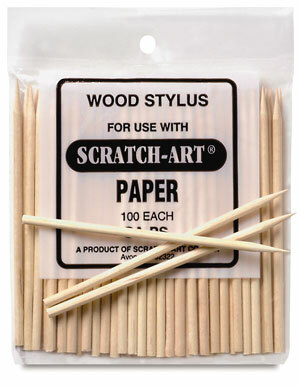 Stick length, 4-1/2". Bag of 100.